Adco is the market leader in the UK for promotional paper products. It has two main brands; Adpads and Adplas. Adco manufacture and supply the trade with promotional merchandise for the business-to-business sector. Adco’s success as a company can be measured by its longevity and its ability to evolve and adapt to change. It retains custom through supplying quality products with the highest levels of service. Each customer benefits from the knowledge and experience gained over the years. The business, originally known as Stuart Artpads, was established in the 70’s when it began trading as a general printer. In the 80’s it began to specialise in making advertising pads. The business grew rapidly and gained an excellent reputation as a low cost, trade only supplier that distributors could depend upon. The business was bought and renamed Adpads in 1989. Over the next few years the company successfully expanded its product range with the addition of memo holders, block pads, sticky notes and mouse mats. After a management buyout in 2003, new owners David Fletcher and Howard Smith, formed Adco Products Limited. ‘Adpads’, synonymous with quality promotional paper products, was retained as a brand name. The range was extended further by venturing into promotional plastic merchandise, now sold under the Adplas brand name. 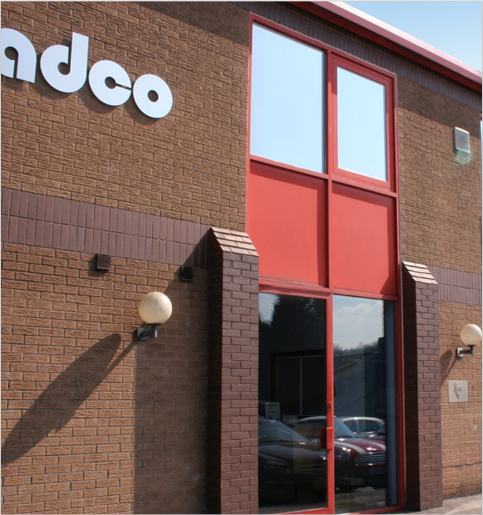 To this day, Adco Products Ltd has a philosophy of investing in people and equipment to ensure it is in the best position to meet customer requirements. The “make it happen” management team is supported by experienced, able, enthusiastic and ambitious employees. A customer of Adco can rest assured that the business is well structured and clearly focused. It is our intention to deliver quality products on time and within budget; it is something you can rely on.